Strathewen Landcare Group was established in 1992. It is the second oldest Landcare Group in the Nillumbik Shire. The group covers the area bounded by the National Park, Bald Spur Rd, Jacksons Rd, Hildebrand Rd, Shaws Rd, Strathewen Rd, Eagles Nest Rd, and Harrys Rd. This area groups together properties whose land is part of the Arthurs Creek catchment above the Eagles Nest Road bridge at Arthurs Creek. 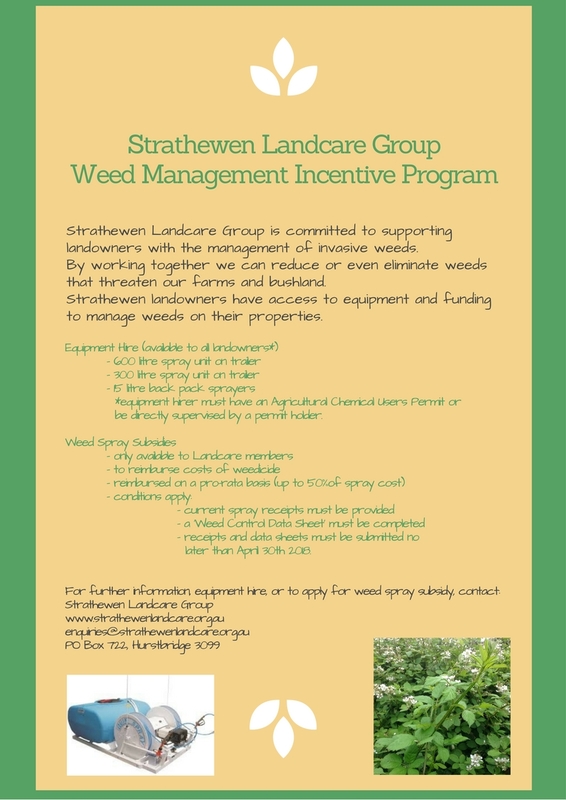 To find out more information about the Strathewen Landcare Group or to become a member, please visit their website. The official website for the Strathewen Landcare Group is www.strathewenlandcare.org.au. Please visit for further information about the group, what they do and how you can be involved.